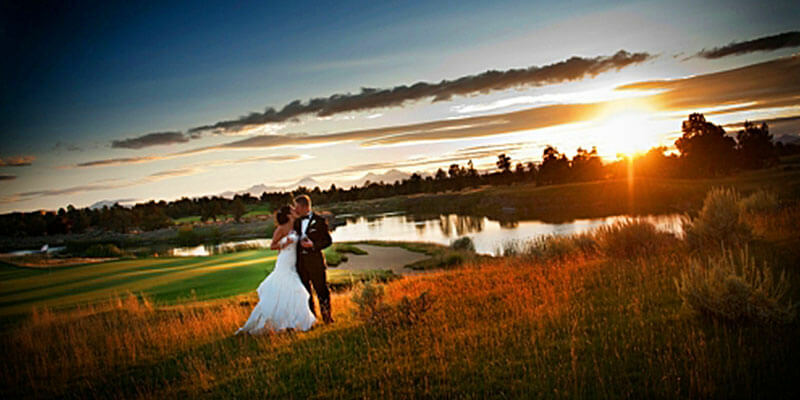 Most of the summer weddings at Pronghorn take place out “The Island” a beautiful piece of raised land within Pronghorn’s Tom Fazio golf course with panoramic views of the Cascade Mountains and a bridge entrance for the bride and wedding party. This is one of those venues where it is hard to take a bad picture! It is just beautiful! Pronghorn also has a classy club house for the after party with views off to the rolling hills of the northeast where we played a cocktail hour set for the 100 or so guests that were in attendance. 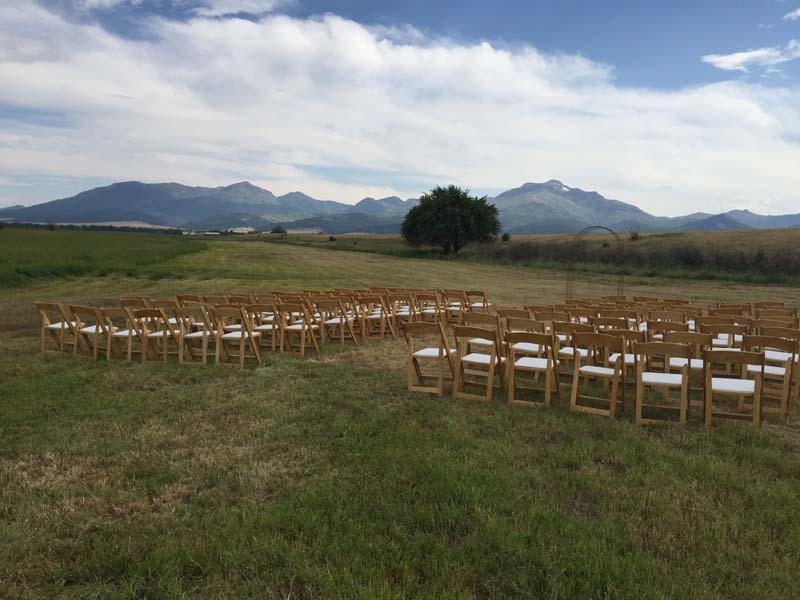 Pronghorn recently took on an ambitious project to add a large hotel onto the property that can accommodate all of your out-of-town guests if you are looking for a destination wedding venue. The Ashlings are a guitar and strings duo/trio that play weddings throughout Bend and Central Oregon. 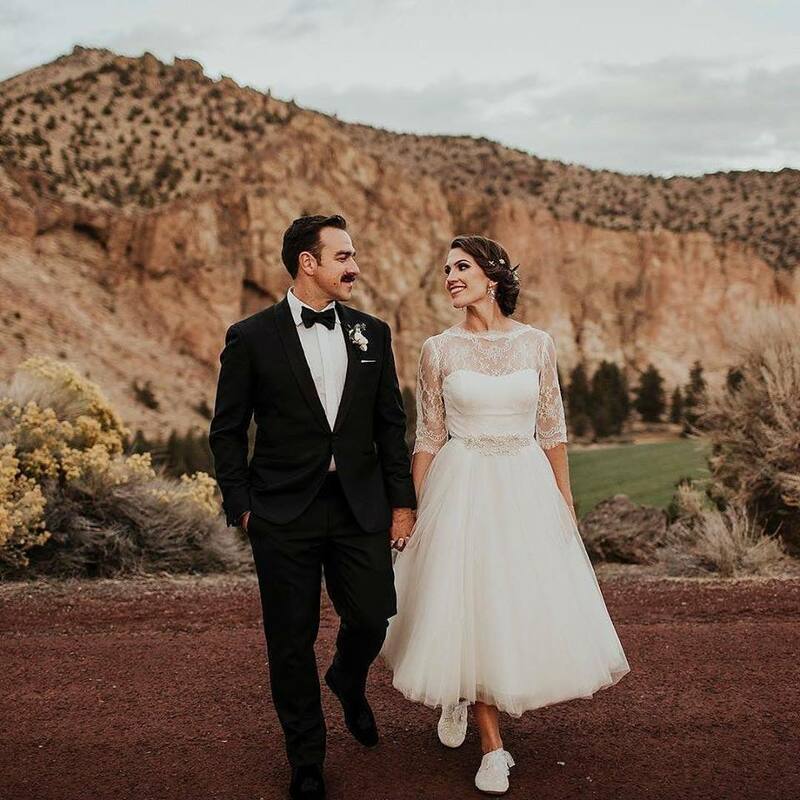 What sets us apart from other musicians in the area is that we can play classical instrumentals for your pre ceremony and ceremony, and then switch gears into a pop Americana band for your reception. 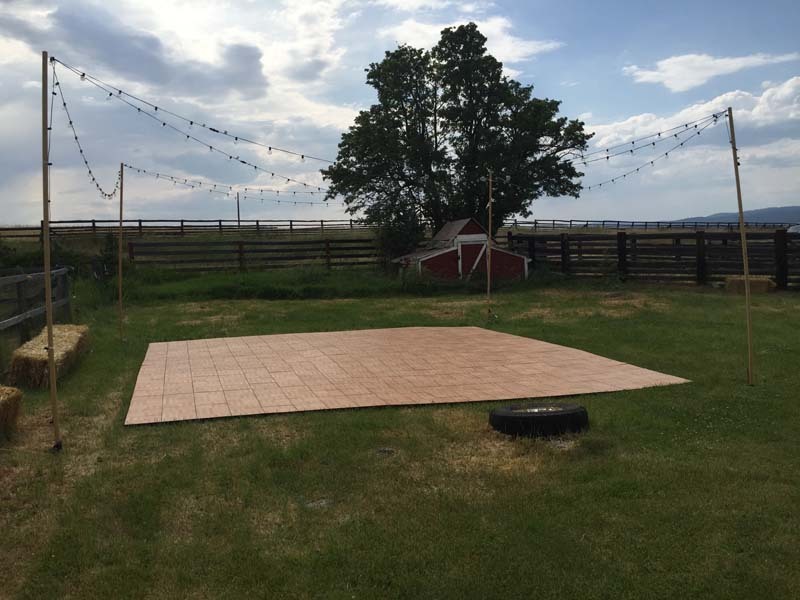 We are a great fit for the rustic chic style weddings which are popular at Pronghorn. Please contact us at laurel@laurelbrauns.com today to inquire about pricing, and learn more about how The Ashlings will make your special day magic! 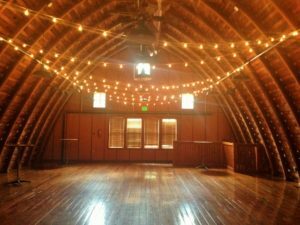 Music was performed by The Ashlings, Laurel Brauns on guitar and vocals, and Julie Southwell on violin at Ranch at the Canyons on Oct 7, 2017. We also played the reception party for an hour after the ceremony. This was a beautiful fall day out in Terrebonne, Oregon. The fall colors were at their peak and the brightest I’ve seen in years in Central Oregon. This location is truly one of the grandest in the area with epic backdrops at every turn. 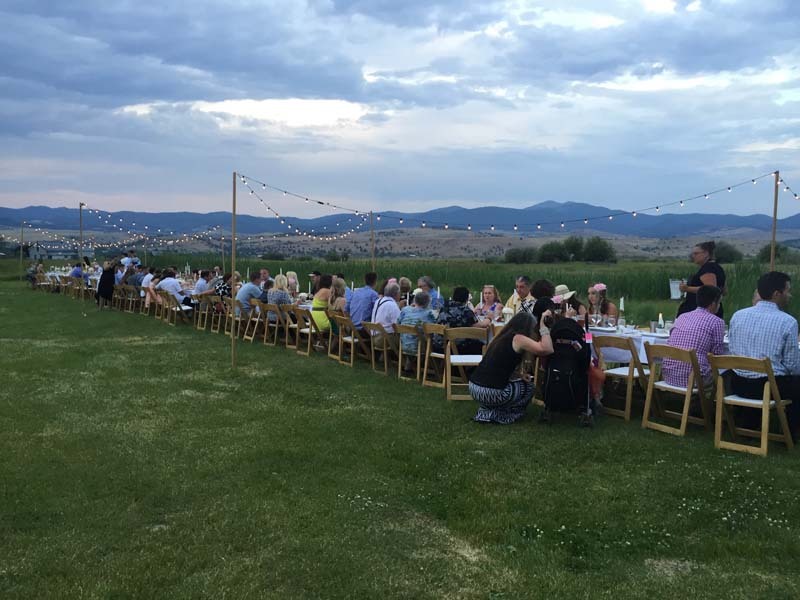 The main venue has a Tuscan architecture feel to it, and the mighty Smith Rocks loom in the distance beyond the vinyards that are part of the property. 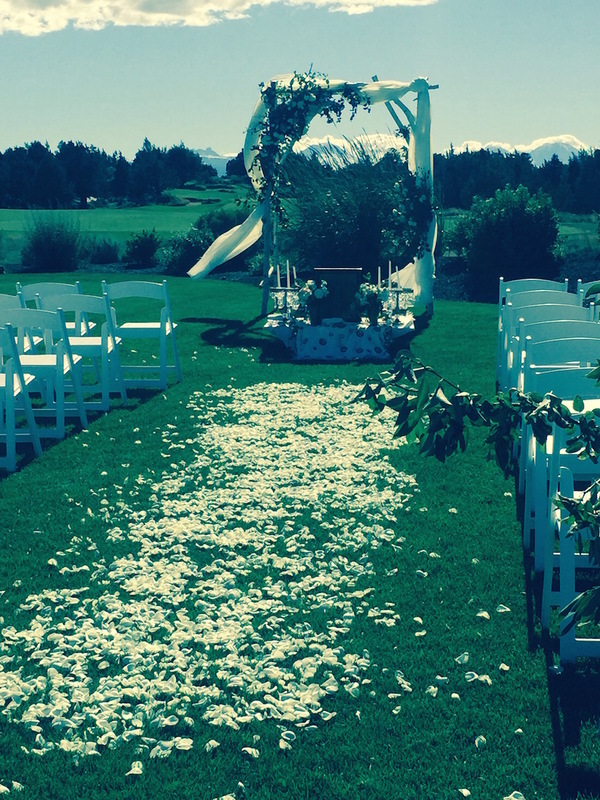 It was an extremely windy day, and Abby and her staff at AE Creative did such a professional job making sure everything was going to stay on the ground during the ceremony. Nick & Maddy’s vows were both genuine and funny both me and Julie got a little choked up before closing out the ceremony with the upbeat Ray LaMontagne song, “You Are the Best Thing.” We really enjoyed playing the reception/cocktail hour as well. 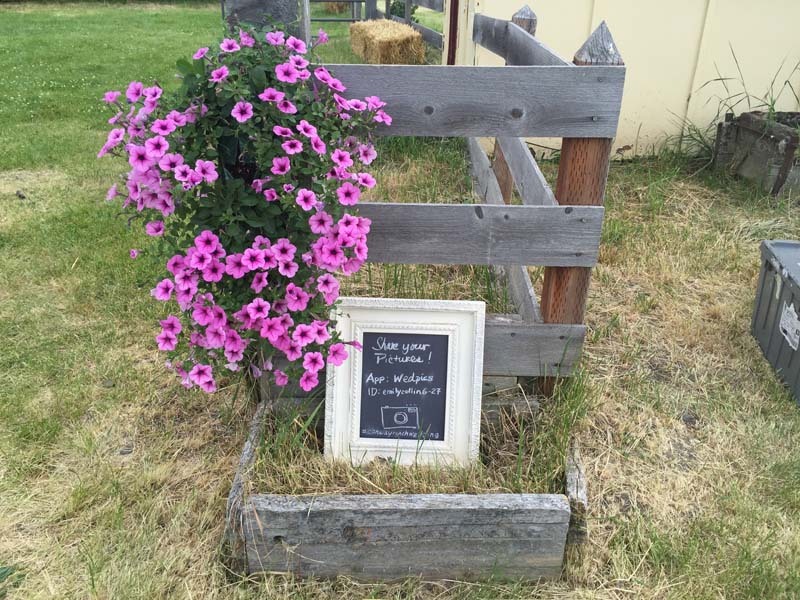 This is one of our specialties that we can play classical or “special request” instrumentals for the ceremony and then switch gears into upbeat Americana and folk during the reception. 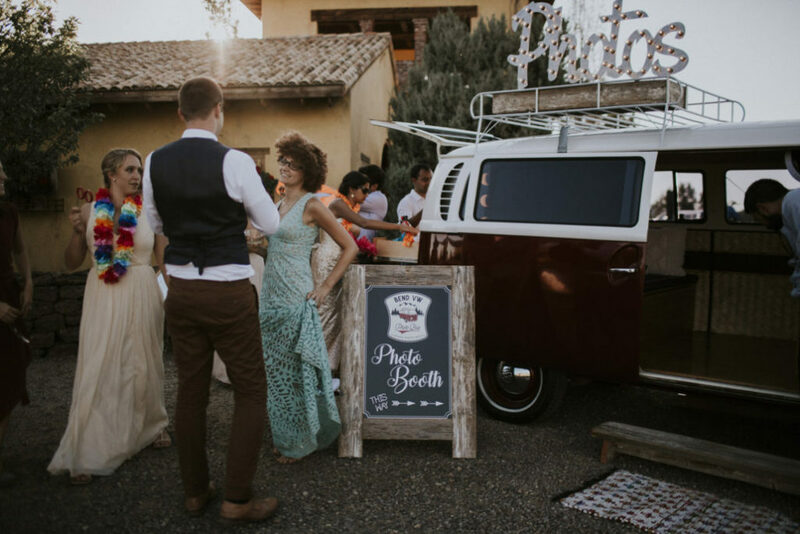 The whole wedding had a “vintage carnival theme” with lots of cool extras like drinks served out of a cocktail trailor, a photobooth in a VW Bus, and beautiful furniture provided by Peanuts Gallery. 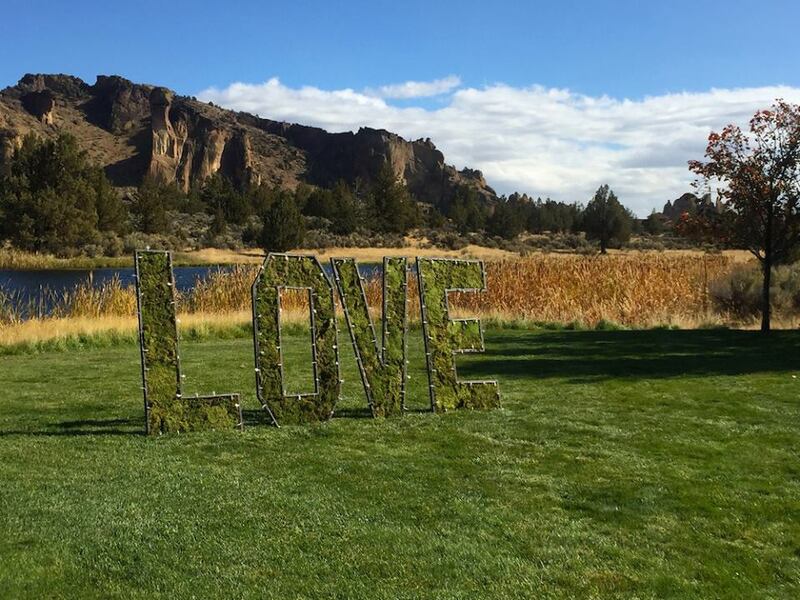 The most striking thing about this wedding was the setting. Colin’s parents own a weekender ranch a few miles outside of down with panoramic views of the Strawberry Mountains. The property is surrounded by hay fields and the caretaker’s horses peacefully graze in the distance. 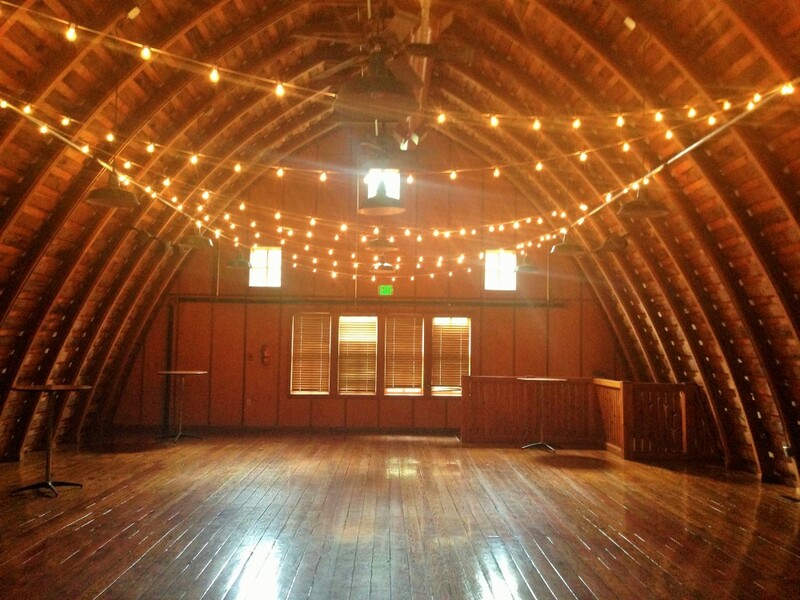 The red barn was given a good sweep for the occasion and in preparation for the late night party, and chandeliers hung from the ceiling with fresh hay strewn on the floors. 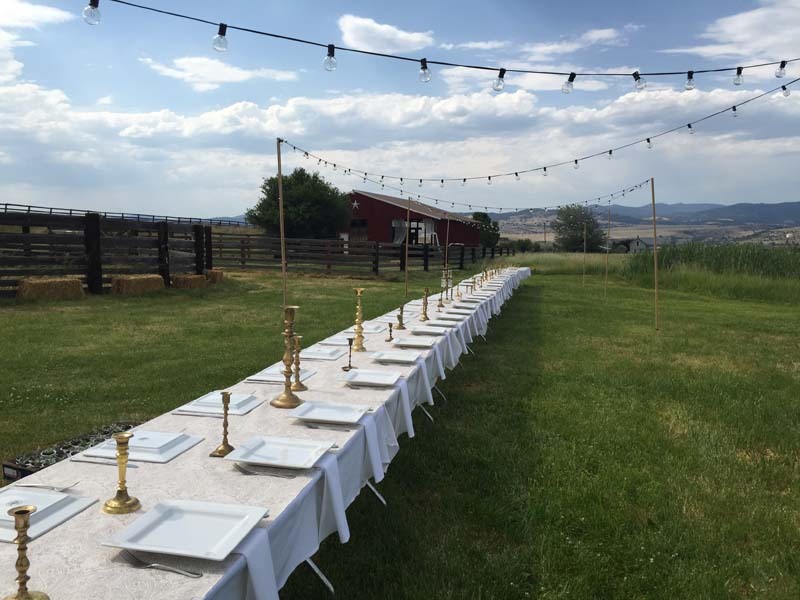 Dinner was presented on one long table in the back yard accented by gold candleholders and tea lights strung overhead. 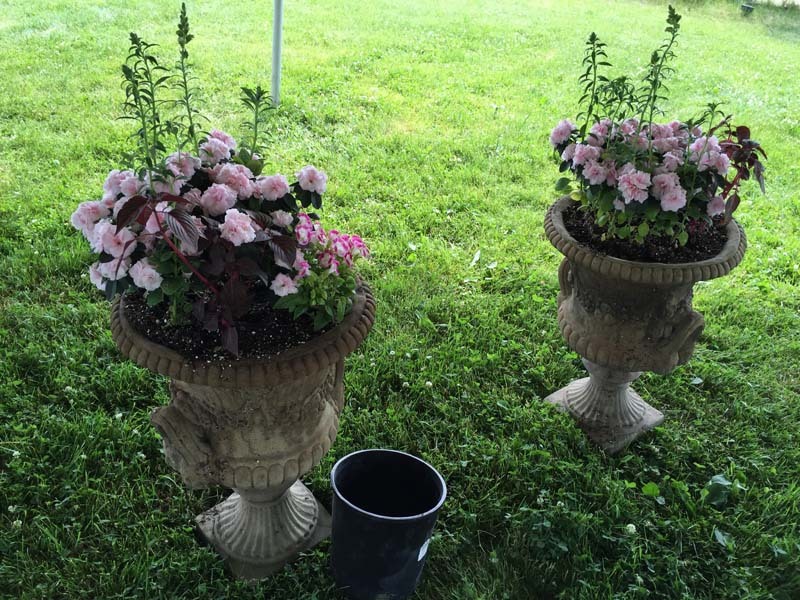 Fresh flowers everywhere complimented the subtler white and gold theme. 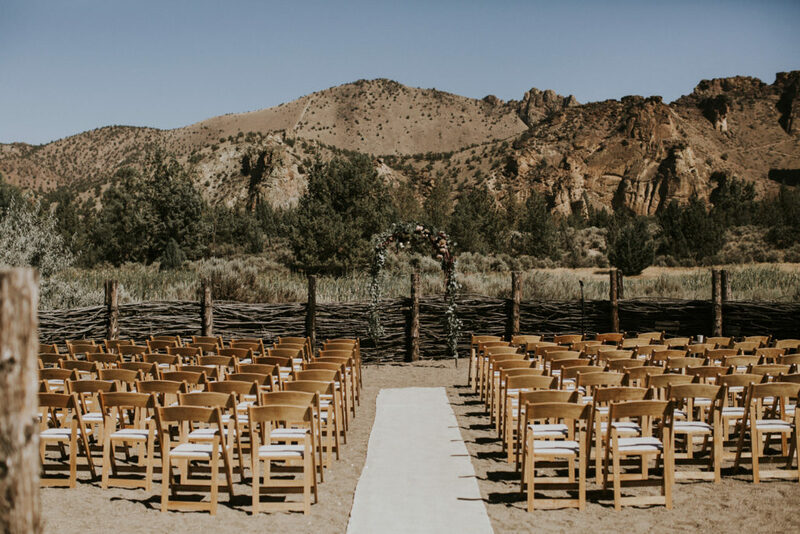 The weather broke 100 that day and the ceremony was thankfully moved back a few hours, allowing the cooler afternoon breezes in to everyone’s relief. Little water misters hung everywhere, also giving some quick comfort as you walked past and were subtly covered with tiny cold droplets. While the majority of the evening took place in different areas around the main house, the ceremony itself was out in the hay field. One of my favorite parts of this ceremony was that no one saw the bride until she made her entrance at the ceremony. What a classy and dramatic touch. It is so common these days for the photos to take place before the ceremony, so most get to see the bride (including the groom) before the ceremony itself. It just made it so much more dramatic and emotional. The distance the wedding party had to walk to get out to the hay field was actually quite long, and this ceremony was a great example of why it is always so important to have someone to cue the musicians as to when the procession begins, as we started a few seconds late a result. It is always good to have a contact person the day of to manage these little details so we don’t have to bug the bride or groom. Given that the photos happened after the ceremony, the cocktail hour stretched out over two hours, and we happily entertained the crowd with a mix of songs from our wedding book and upbeat Irish and Americana tunes. The groom’s father came over and introduced himself and we learned he is the Washington State Senator Steve Conway. He requested we play his favorite song “Black Velvet Band” and even went so far as to bring us a print off of the lyrics. We ended the evening with this tune and I think it made his family very happy. Overall, this was a very stylish and classy affair with an authentic adherence to the rustic chic theme without going overboard. Congrats Emily and Colin!